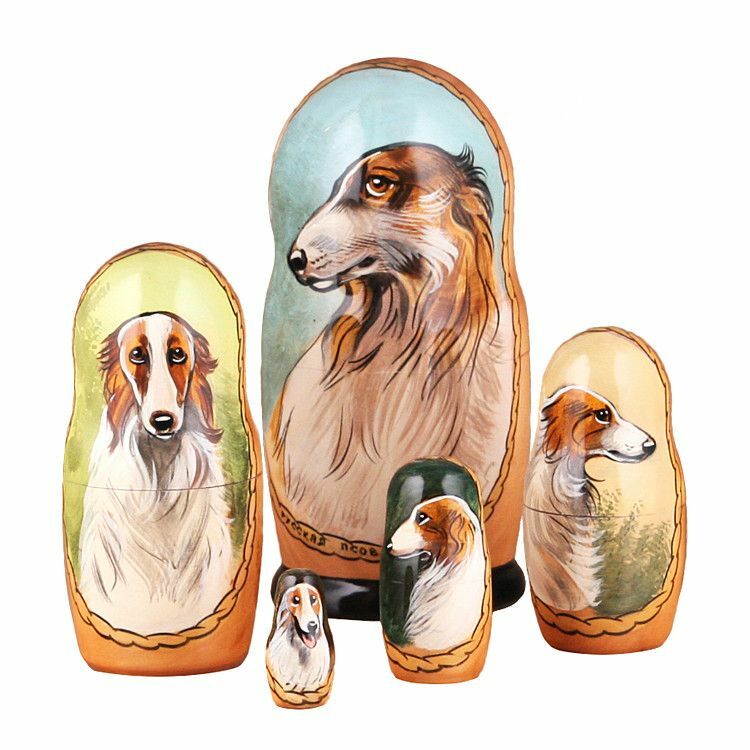 Always wanted a Borzoi, but don't want to pay the enormous food bill that comes along with them? 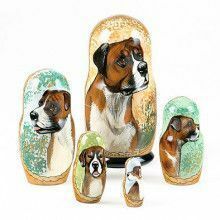 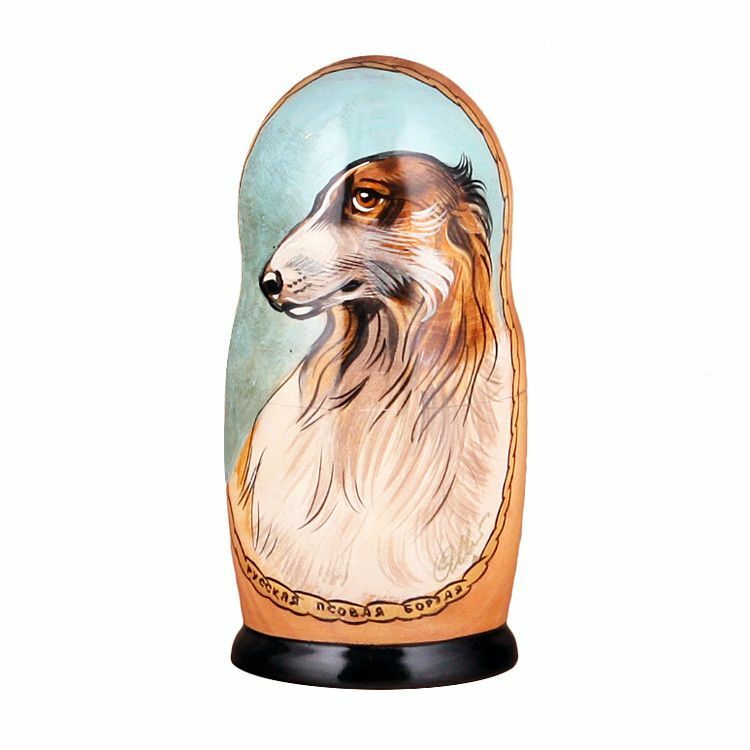 Well this Russian Stacking Doll is perfect for you, or the dog lover in your life! 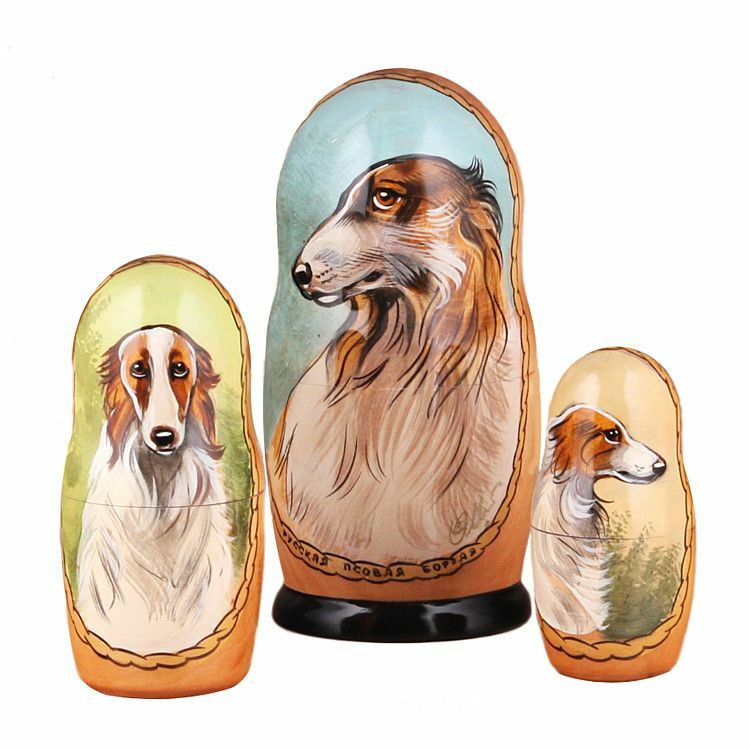 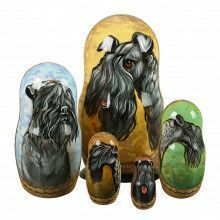 Each of the five dolls features a different hand painted depiction of a Borzoi in a different pose. 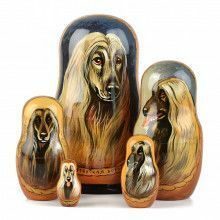 Design and colors might vary from photograph.